If you go to any gym now you will find that they offer Spin Classes. They might be called group cycling or bike fit, they are all the same thing. With the popularity rising more and more people are just using the gym for the exercise classes. Spin Bikes are actually the brand owned by Madd Dog. 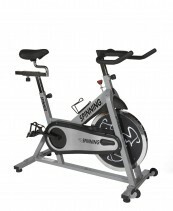 They pursue anyone calling Indoor Cycling Bikes “spin bikes”, through trademark rules. 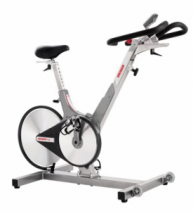 As gym membership prices keep rising, and a good gym can cost nearly $1000 a year its understandable that people are starting to look to have their own spin bikes at home. 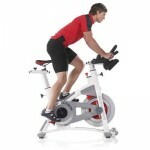 We love spinning, its our favorite form of cardio exercise, a short 30-45 minute blast can burn up to 600 calories! 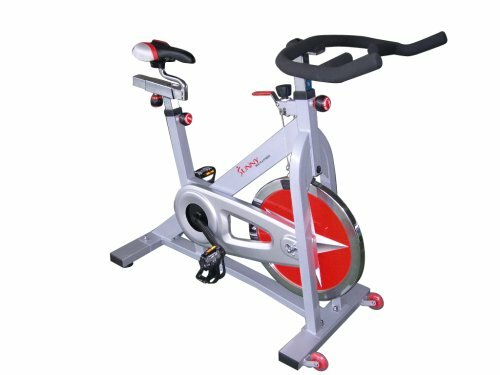 Over the years we have tried nearly every type of spin bike (and indoor cycling bikes) there is, at the gym and in our own homes. Given the masses of choice on the market this guide should help you pick the right bike for you. Or if you just want to skip to our two favorites then skip straight to our Sole SB700 review, or the amazing Keiser M3 reviews. Both of these bikes represent the best balance of value and performance. 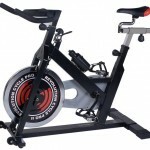 The Sole is our favorite under $1000 indoor cycling bike, and the Keiser is sublime yet expensive at $1900. 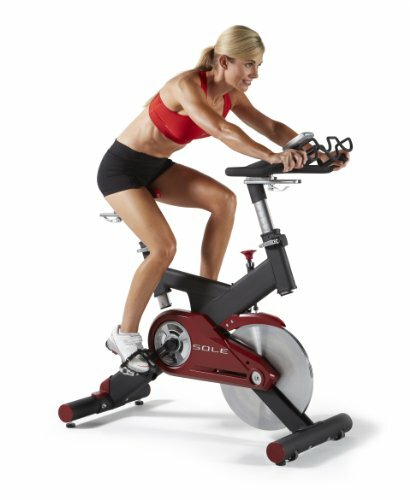 The reason many gyms call their Spin Sessions “Group Cycling” is because they have to employ specially trained Spinner instructors to use the Spin name. They can avoid this by calling it Group Cycling or similar. Don’t worry you will still get the same great workout whatever the name! 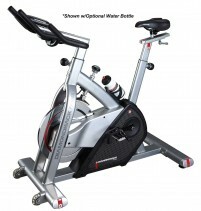 For the lowest cost entry into indoor cycling there is only one real choice. The hugely popular Sunny and Health Indoor Pro. 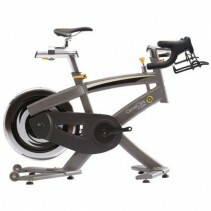 With its chain drive and fixed handle bars it may lack some of the refinement of the Indoor Cycle Trainer. However at under $300 its value is hard to beat. Since our last round up the price of the Diamondback 510ic has dropped slightly which makes it a more interesting choice! Part way between an Indoor Cycle and upright bike, thi sofferes a range of resistance programmes linked to your heart rate. 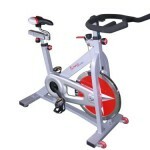 This ensures that you are always working out in the training zone. 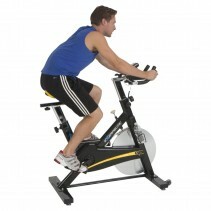 They bike is comfortable and well built, its strength allows riders of upto 300 to ride in comfort. Its the little things that makes the difference, and Sole have taken that onboard to produce one of the best home Indoor Bikes on the market. 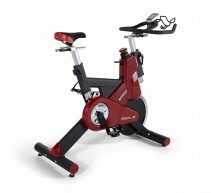 We love the smooth feel of the 48lb flywheel that lies at the heart of this bike. It looks good too, with its X Shaped frame and striking red highlights. The little features that we really like are the handle bar mounted bottle racks, and its impressive build quality. All the best elements of the SB700, but with added strength and rigidity. 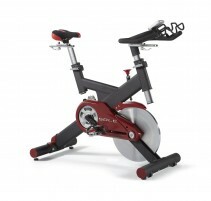 If you are looking to push the pedals hard then this is a fine choice. It’s comfortable and smooth to ride, with a quality feel and finish. It’s worth the extra $200 for the additional level of performance that it brings. 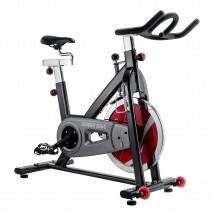 The Schwinn AC Performance Plus is a great bike that offers a proper gym quality feel. The only reason that it does not get top billing is due to the friction resistance, rather than magnetic resistance of the M3. 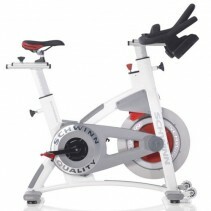 Still Schwinn have pulled together an amazing bike, that runs quetly and looks fantastic in its white paint job. The Keiser M3 is probably the king of the Gym. 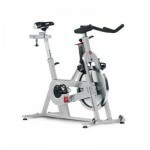 When it comes to indoor cycling Keiser broke the mould and produced one of the most distinctive, and best riding bikes on the market. Putting the flywheel at the rear of the bike looks great, it also helps performance, balancing the weight of the bike as you push on the handlebars. 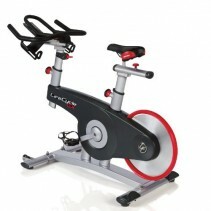 We are huge fans of this USA made bike, if you are looking to buy the best this is it. A newer entrant to our list of performance bikes. The GX is incredibly well made, like the M3 it shares the rear spinning wheel that gives it a purposeful look. We really like the way that the resistance is applied via a lever that allows upto 20 precise levels to be selected. The feel of this bike is wonderful, high end plastics and smooth steel make it a joy to ride. A real alternative to the M3.